Come enjoy! 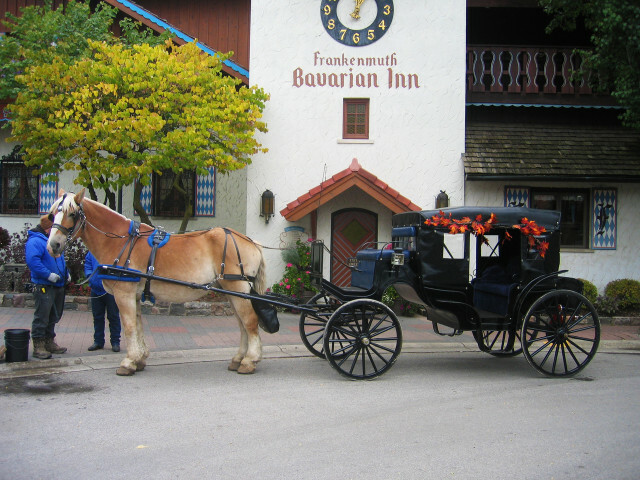 A beautiful 15 or 30 minute horsedrawn carriage ride through charming downtown Frankenmuth. Highlights include the covered bridge, River Place and our spectacular Main Street. We are stationed on the south side of the Bavarian Inn Restaurant under the Glockenspiel clock tower.